Haitian President Jovenel Moise visited Cuba on an official visit Mondy, 3 December 2018 where he was received by Cuban president Miguel Díaz-Canel. The basis of this visit was commemorate 20 years of cooperation between the two countries, Haiti and Cuba, which began on December 4, 1998. 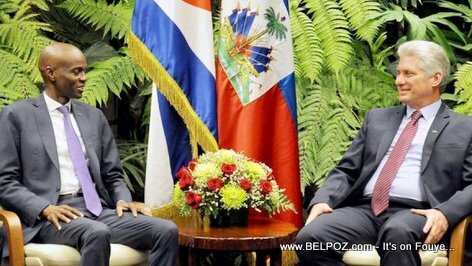 The two presidents discussed various topics including strengthening the ties between Haiti and Cuba for the benefit of the people of both nations.